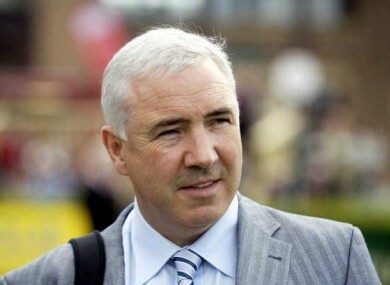 IRISH PROPERTY DEVELOPER Sean Dunne is set to go ahead with his attempt to be declared bankrupt in the United States. In August, the developer attempted to have his bankruptcy application dismissed in the US dismissed – a move that was challenged by Nama and Ulster Bank. It was argued by Ulster Bank at the time that the withdrawal of Dunne’s application to go bankrupt would allow him to further frustrate his creditors. Dunne had applied in March 2013 to have his €700 million debt written off in the United States. It was reported on RTE this morning that he will now be going ahead with his efforts to be declared bankrupt. The developer is facing charges at the US Bankruptcy Court in Bridgeport, Connecticut. Nama and Ulster Bank are the two creditors with the largest judgements against him – with Dunne owing €185 million and €164 million respectively. His bankruptcy hearing is now expected to take place in January next year. Email “Developer Sean Dunne to go ahead with bankruptcy case”. Feedback on “Developer Sean Dunne to go ahead with bankruptcy case”.